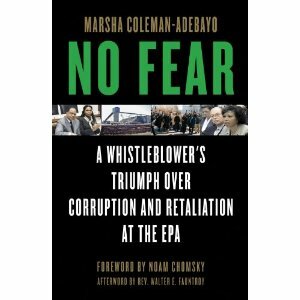 "No Fear: A Whistleblower's Triumph Over Corruption and Retaliation at the EPA"
Steeped in the history of the civil-rights and women’s movements and blessed with a keen intellect, the author earned degrees from Barnard College, Columbia University and MIT. In 1990, she was on track toward a promising career with the EPA, considered one of the most progressive federal agencies. However, Coleman-Adebayo soon sensed that all was not well. Pay discrepancies ran along racial and gender lines, and white men dominated the ranks of the executives. During a trip to South Africa as a member of the Gore-Mbeki Commission, the author witnessed the “systematic, verifiable, environmentally devastating” effects of vanadium mining, a metal considered strategic by the CIA. She was quickly stymied by her superiors in her efforts at solving the South African environmental issues. 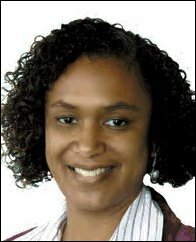 ﻿ EPA employee Dr. Devon Payne-Sturges has won the Environmental Science & Technology’s Editor Choice Award for Best Paper, 2nd Runner-up in the Science Category. Devon’s award winning paper was titled "Evaluating Cumulative Organophoshorous Pesticide Body Burden of Children: A National Case Study." This unique paper is the “first step toward assessing the importance of multiple exposures of organophosphates (OP) pesticide exposure for children.” Organophosphate chemicals are the most widely used insecticides available today. They are used in agriculture, to kill pests in people’s homes, and by veterinarians. Organophosphate pesticides affect acetylcholinesterase, which is essential to nerve function in insects, humans, and many other animals, and this could present a major problem for children’s health. John Rosenthall provides environmental counsel to the government agencies, municipalities and Historically Black Colleges and Universities. 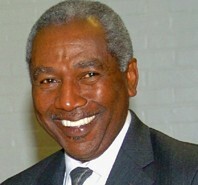 He supports two non-profit organizations, the National Small Town Alliance (NSTA) and EJ Conference, Inc. (EJCI). NSTA represents the interests of small towns and rural communities before Congress and Federal agencies, establishes community technology centers and provides excess and surplus government computers to small towns and community groups across the country. Since 1999, in partnership with the Department of Energy and Tennessee State University, NSTA has donated more than 5000 computers to needy communities. 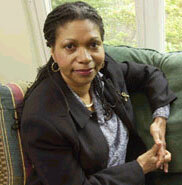 EJCI plans and conducts a national conference on environmental justice each year in Washington, DC.